One Chocolate Cake Recipe with many different flavors is an absolute winning recipe. Just one recipe & you can create six different flavors with simple addition or subtraction. It’s a great place to start when you think baking a cake from scratch is overwhelming. 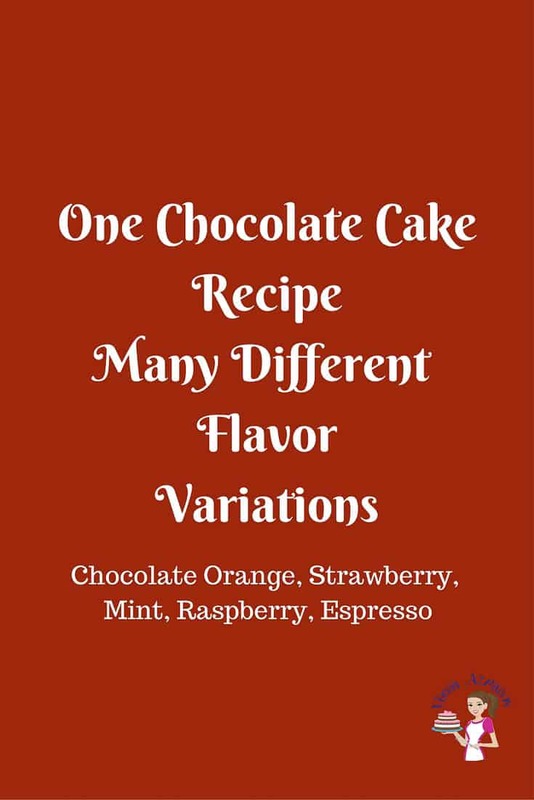 One Chocolate Cake Recipe Many Different Flavor Variations. Have you ever wanted to try different flavors? Of course, you have! We all do! But most of us go looking for a new recipe every time we need to try a new flavor. And of course; if you are like me then you will try a few recipes before you actually settle for one. I love chocolate cake very much and I love variations in chocolate cake. I often will start making the cake and then go scan the fridge or pantry to look for what variations I can try today. All those little experiments have led to this one chocolate cake recipe with many different flavors. This is how my mom taught me as a kid. She thought me what recipes must have ingredients are and what are the ingredients you can play with and how you can tweak twist add or subtract. Baking in the kitchen with mom was my favorite as a kid. She’d make it so much fun by letting us leap to success or failures and still showing us that the most important was to have fun baking and learning. ½ cup Buttermilk or boiling water. Mix all dry ingredients in one bowl. Sift well. Add fruit to dry ingredients. Mix wet ingredients in a second bowl. Combine the dry ingredients with wet ingredients. Bake in preheated oven @ 160 C / 320 F for 30 to 40 minutes or until a skewer inserted comes clean. How to use this recipe – One chocolate cake recipe with many different flavors. Let’s say you want to make a chocolate Strawberry cake. You would take the common ingredients and the ingredients listed on the chocolate strawberry cake. Now do as directed in the method. That’s it!! Bake in preheated oven 30 to 40 minutes or until a skewer inserted comes clean. Thank you, Sudanna. Happy to hear you have success with this recipe. Appreciate you coming back to write this feedback. Have a wonderful day. Hi Veena! Thanks for such a nice recipe. I want to know if I would like to decorate the cake with fondant, can I frost the cake with Swiss meringue or Italian buttercream rather than with normal buttercream frosting? Yes Aindri you can use this cake to cover with fondant. You may need to double the recipe to get some more height for your fondant cake. You can use any frosting – Swiss, American or even ganahce! Enjoy. Thank you soooo much! You are my mentor for cake baking. I followed your gum paste recipe also with an amazing result. Just shared to let you know. Than you so much Aindri for your kind words. Happy to hear you are enjoying my recipes and tutorials.Thanks for leaving this feedback as well. Always very encouraging. Thank you so much for this recipe. I wanted to ask if this recipe can withstand fondant cakes. I am also finding it difficult to download your free E Guide. Thanks once again for all your lovely receipes. Shenaz yes this recipe will work under fondant. It says additional!! So yes it’s additional buttermilk. Hi Veena, thank you for your awesome recipe. I always use this for my chocolate cake. Can I use the same recipe for cupcakes too? If yes, approximately how many cupcakes does it make. TIA. Akila.. I usually use it for my cakes but yes you can make cupcakes with them too. Can’t be sure or precise but I’d say depending on size around 24 plus cupcakes. Hello Veena, thanks as always. I sent you an urgent mail with respect to a purchase I made yesterday. Pls send a response. U r truely an angel …. Can u plz plzzz plzzzz tell me a best replacement for eggs in cake baking….. I think some people use Flaxseeds but I have never tired. I suggest you look for a eggless recipe instead. 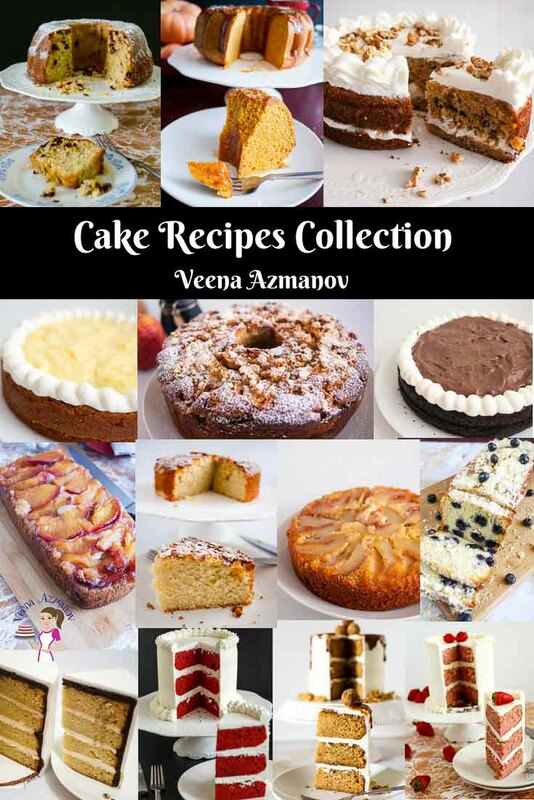 I’m sure there are some tried and tested eggless recipes – I have a few eggless cake recipes on this blog – look under cake recipes.. Not many but hope it helps. Hello veena I have to make 1/2 shift cake how much butter do I need,I don’t know if double or 3 times or four thank you for your help. Could not download your e-guide book…..and for various flavour should I just add each ingredient in the main mixture? HI, If you send me an email I can send you the e-guide, Sorry, not sure why you cannot download. Please check your spam folder as well..
One cake has two columns, the main column and the corresponding flavor column. BOth these go to make one cake. Hi Veena, I’m trying to download your free E Guide but cannot download it. Is it possible that you could send it to my email address please. Thank you very much. Hi Veena! Thank you for sharing your recipe.Tried it for the first time but my cake did not rise properly. I followed the procedure completely. 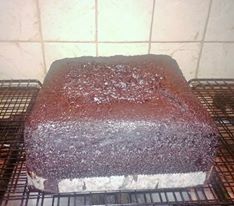 I’ve used dutch processed dark cocoa powder.Does it affect the rising of the cake? Hoping for your reply.Thanks. Hi Linda. Not sure why hun. Check your baking powder and soda? I use this recipe a lot and have many use it successfully. Hi …I have been following u fr long. Can u pls suggest me what can best replace eggs in cake. Condensed milk I have tried. Hi! Ms. Veena can this cake be used under fondant? hoping for your reply. thanks! Veena,my angel in disguise.God bless d work of your because you are my mentor,teacher and hero.i have learnt so many things through u.please keep it up. Thank you so much Tosin!! Appreciate you taking the time to write such kind words. Thank you !! Hi Veena. Is this cake firm enough to withstand fondant? Hi Veena, when you say tsp. of coffee. Is that instant coffee? Hi Veena…in your chocolate cake recipe, you say 4 eggs separated, but in the method, there is no mention whether I add egg yolks or egg whites. I read egg whites to make your cake fluffier so does this mean egg yolks go into the batter?